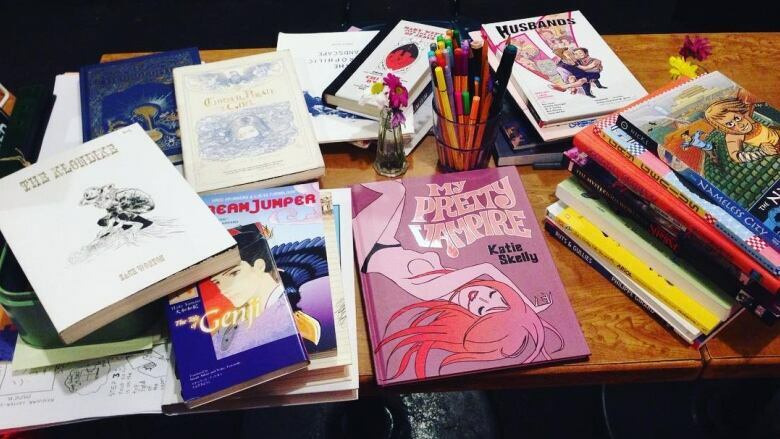 Created by librarians and comic enthusiasts, the Canada Comics Open Library is a dedicated space for the art form — and it needs a permanent home. No matter how many op-eds there are about graphic novels being serious literature, every comics fan knows the pain of browsing a library or bookstore, only to find a narrow shelf in the children's section, or something labelled "humour" featuring Garfield next to jokey gift books about wine. Part of the problem, says librarian Rotem Diamant, is the limitations of existing library cataloguing systems and bookstore organizational systems. That's one of the reasons she and a group of Toronto-based librarians and comics fans came together in 2018 to create the Canada Comics Open Library, currently a 600-title collection on the lookout for a permanent home. Comics are "often catalogued as one all-encompassing genre for storytelling" in the two most common library cataloguing systems: the Dewey Decimal System (used in most public libraries) and the Library of Congress (used in most academic libraries), explains Diamant. Libraries may also be limited — by distributors, budgets, or staff knowledge — in their abilities to purchase titles from the smallest publishers or self-published work, both of which are prevalent in comics. The team behind the Canada Comics Open Library wanted to create a more accessible space dedicated solely to comics, where they could design a framework for a more comic-friendly library collection focused around Canadian creators, as well as having a community space for comics-related events, workshops and research. 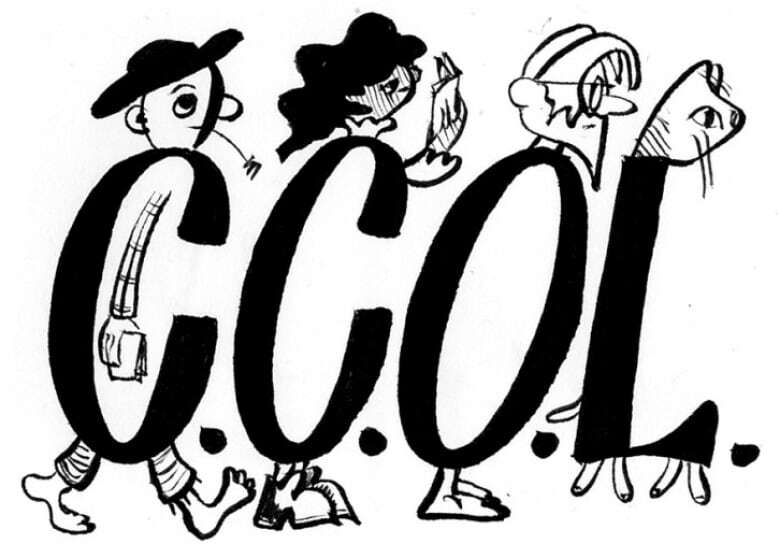 They started by launching a website and database, the Canadian Cartoonists Database, but quickly uncovered their shared interest in creating a comics-oriented space and using open source library software to build a better way to organize comics collections. Instead, they've developed a genre-based system of organizing comics, both in the digital catalogue and on the shelves; sections include anthology, autobiography, biography, everyday fiction, historical fiction, reference, non-fiction and speculative fiction, replicated in both adult and youth collections. They've also implemented a system of coloured stickers for books on subjects like LGBTQ topics, physical health and mental health, so that readers can easily identify these books on the shelf. The software they use also allows for entering more information about a book's context, community and author as metadata, as well as keyword tagging, which the designers hope will make the catalogue more useful for casual fans and researchers alike. The Toronto-based collection launched in November with a pop-up event at The 519 centre, featuring a reading space for the collection, comics workshops and a panel discussion on storytelling in comics. They also organized a holiday comic exchange at Glad Day Bookshop and plan to do more pop-up events until they have a permanent location. 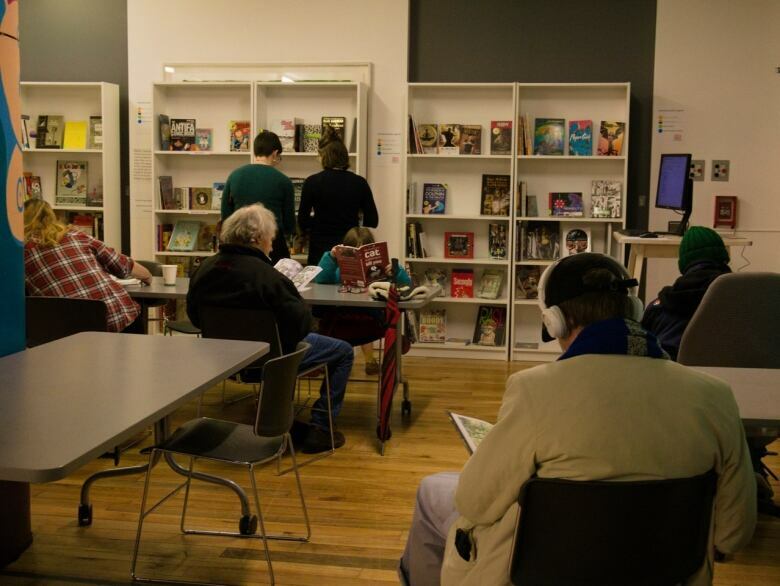 The library turned to crowdfunding to raise money for the initial operating funds, including the cost of a rental space, a paid staff member and organizing events. In the longer term, they'll be eligible to apply for grants for operating funds, and hope to make the collection sustainable through grant funding and membership fees. Though the collection will initially be for in-library use only, they hope to have a circulating collection later, as well as loaning out portions of the collections to non-profits working with children and youth. Later on, they plan to expand their scope outside of the city, in keeping with the organization's name. "Our ultimate goal would be to be able to open up this physical branch in Toronto first and be able to open up other branches in different cities in Canada as well," Diamant says. She's been in contact with potential partners and comic artists in other locations nationwide. Though the current focus is on getting a Toronto space up and running, they hope to bring in visiting artists from the rest of the country, as well as highlighting the work of Canadian artists both within the comics collection and through the online Canadian Cartoonist Database. "I really believe comics are a powerful medium for telling stories and understanding other people's experiences, as well as our own," says Diamant. "There is something uniquely introspective, intimate and engaging about the medium that is difficult to capture in other forms of storytelling, and I strongly believe that such a dynamic medium should be more accessible and more widely incorporated into community spaces."